Bob Friedman ’71 will never forget the moment at the Harlem Children’s Zone when the five-year-old son of a poor single mother announced his intention to attend Harvard. He and his mom had already started saving for college in a unique matched college-savings account as part of the Saving for Education, Entrepreneurship and Downpayment (SEED) initiative. As that boy, now in middle school, and others in his class progress toward achieving their dreams, they are making Friedman’s own dream come true. Convinced that there were creative ways to help poor Americans move into the middle class, he founded the Corporation for Enterprise Development (CFED) in 1979. He was 30 and had just earned a law degree from Yale. “The creation of the safety net during the twentieth century was a wonderful achievement,” he says, “but the task of the twenty-first century is to create a ladder so that people can climb out of poverty.” That is the essence of CFED, which has grown to 50 employees and works to open educational, entrepreneurial, economic, and home-ownership opportunities to all Americans, but especially the bottom 60 percent. SEED is one of CFED’s most successful innovations, and in its early days Friedman traveled regularly to Harlem and other sites to hear youngsters’ dreams first-hand. Active with the Phillips Brooks House Association during college, Friedman has always believed that low-income people “have much more capacity than opportunity.” Shortly after graduating, while working in Atlanta, he happened to stand behind some black domestic workers at a bank and saw them depositing change and small bills in Christmas Club accounts. He asked the teller what interest rate the bank paid. “He told me, ‘There’s no interest paid. We do this as a service.’ That seemed incredibly unfair to me, and got me thinking harder about how to open economic opportunity.” Because his grandfather had played a leading role with Levi Strauss & Co., Friedman had the economic freedom to front the “venture capital” to start CFED. Eventually, he realized his ambition of creating jobs for himself and others. 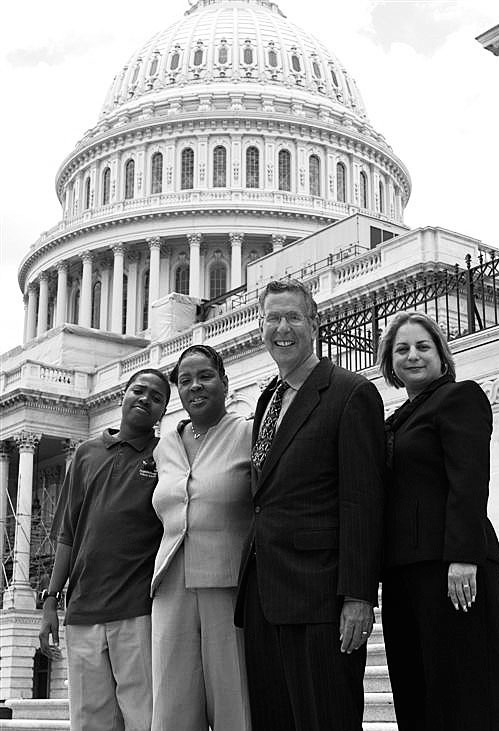 In 1999, CFED won the Presidential Award for Excellence in Microenterprise. Friedman later helped found the Association for Enterprise Opportunity, the umbrella organization for hundreds of U.S. microenterprise groups. He devotes most of his waking hours to hatching ideas with other social entrepreneurs and promoting the best ones, and has testified dozens of times before Congress.